Here is 31 year old Edmund. He was recently retrieved from a loft in Wiltshire. This is Violet who was rescued via eBay and now lives with Pippin, Humphrey and Clarence. Violet is a small bear like Nye. This is Clarence. He recently arrived in the UK from the USA and now lives in Gloucestershire with Pippin and Humprey bears, Gill and Ian . Here’s Hugo. 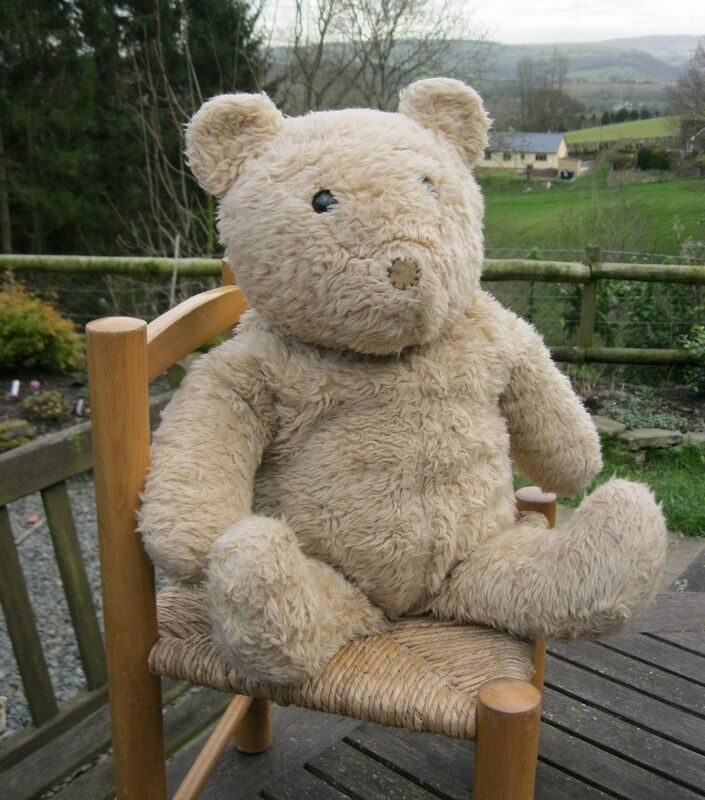 His human, Gill has bought him as a brand new bear in the very early 1980s. Bear lives in Weymouth. He was bought in a shop in Romsey in 1980. His friend looks nearly as old as Growler. Humphrey was put for sale on eBay and re-homed by Gill & Ian. He now lives in Gloucestershire. Humphrey is now best of friends with Pippin, another Alresford Bear. Here is Wilfred. Wilfred was bought in Hamleys Toy shop in Birmingham in 1974. In 1992 he was put in a suitcase where he remained for 25 years before being sold on eBay as his human didn’t really have room for him. Karen bought him and he now lives with us. This bear is much older than me, he has the first type of label used when Alresford Crafts first started manufacturing bears. He was sold on eBay in March 2017. His new human has called him Hugo. This is Godfrey who was re-homed after being sold on eBay in March 2017. He has visited Alresford since finding a new human and is very happy. Here is Fagin. Fagin was bought in 1978 in a toy shop in Muswell Hill, North London which at that time was called Fagin’s. This is Pooh, who is waiting for nose surgery. He lives in Cambridge and was made in the 70’s. 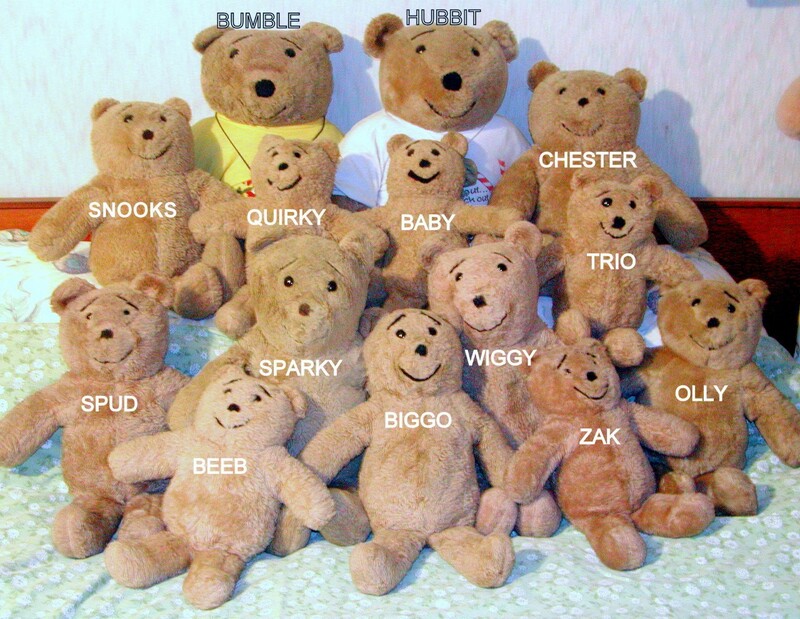 Here are a whole family of honey bears who live in Bristol. Here is Pooh, who is 37 years old. 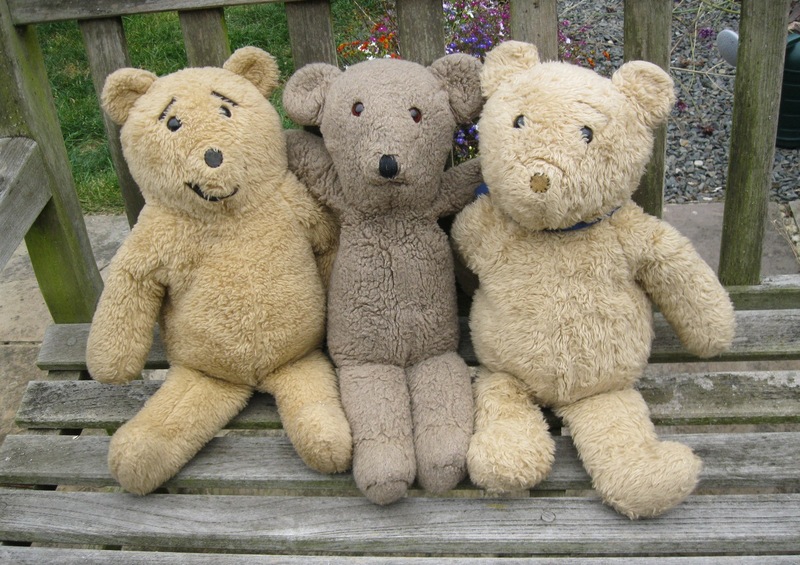 Here are Horatio, George and Hardy who all live in Brighton with Suzy. Here is Stanley who was abandoned in a charity shop and rescued by Sarah with Ron and also Clifford, who was sold to Sarah at a car boot sale. They live in Hay on Wye in England. This is Sir Percival who was recently adopted by a new human after being sold on ebay. At some point in his life Sir Percival lost an eye, but his new human performed eye surgery and he now has his full vision restored. He is very happy his new home. He lives in Australia. 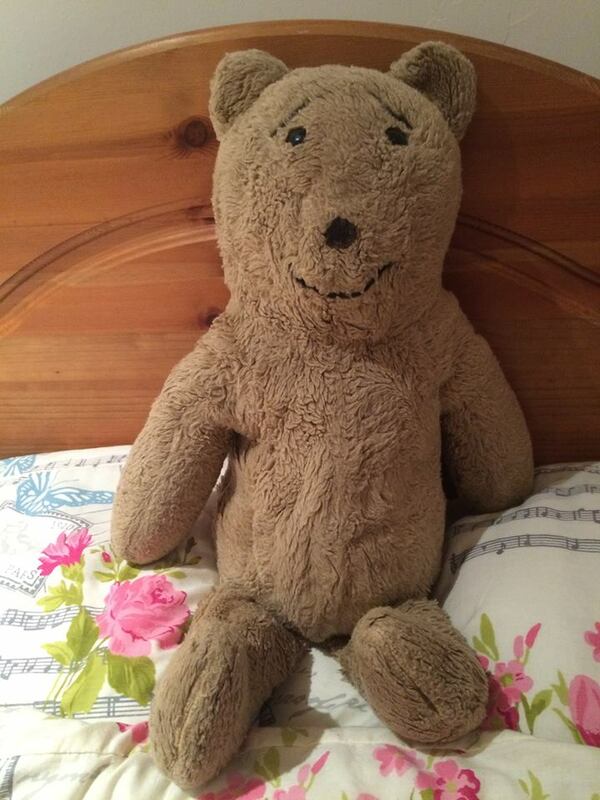 This is Bert – he is one of the original Alresford Bears and is probably about 43 years old! 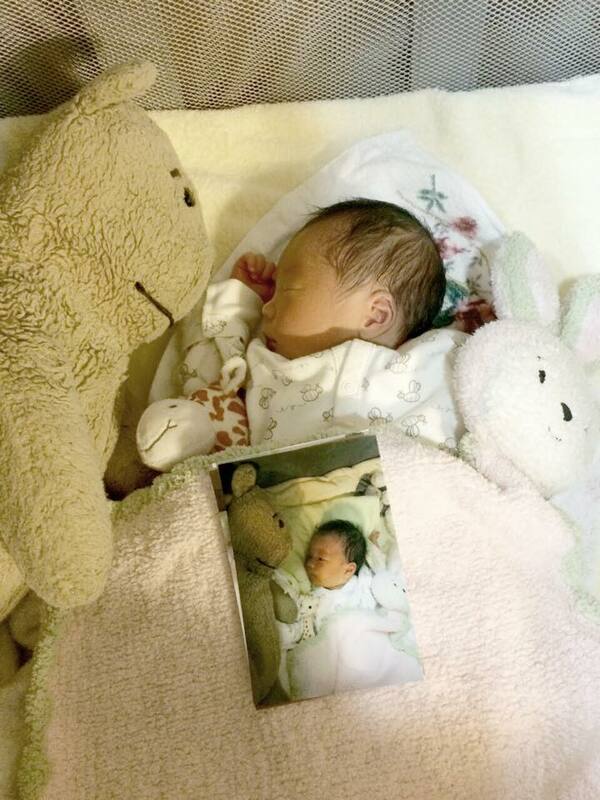 Here is Pooh – he lives in Japan. Here is Perry – he has lived with his human in the UK for 31 years. Below is Chauncy Bear, who was found in Australia in 1980 but now lives in the USA. These three bears all live in Japan with Rupert. Here is Spud. He lives in Chester with his owner who he has lived with for 34 years. Spud has lived in a few places in England including Sheffield where he studied maths at Sheffield University. …and finally here is little Nye, who lives with me. 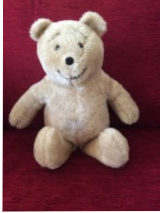 He was exported to the USA but Karen bought him on eBay and brought him back home to the UK. 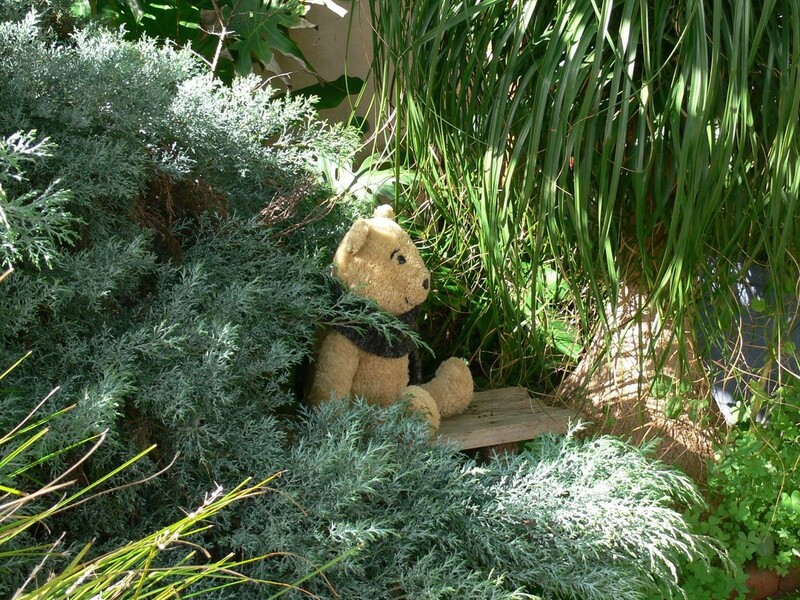 I bought the eBay bear in your fourth photo, the bear sitting outside on the chair. His name is Godfrey. Since he came to live with us, he’s visited Alresford, because I was growing up there when he was born in the 1970s. Thanks for making this site! 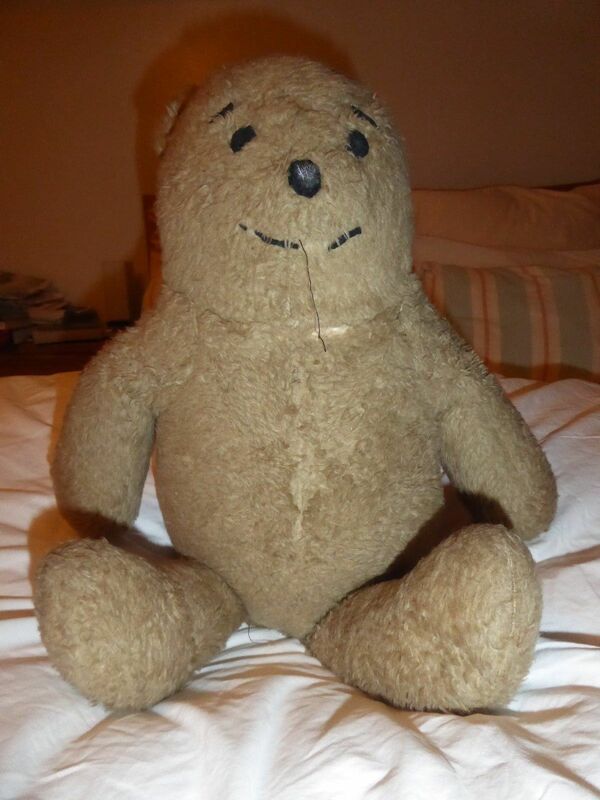 My mother bought me an Alresford Bear in either 1979 or 1980 when I was 1-2 years old. For decades we couldn’t figure out what he was (I removed the label many years ago when I was a toddler). 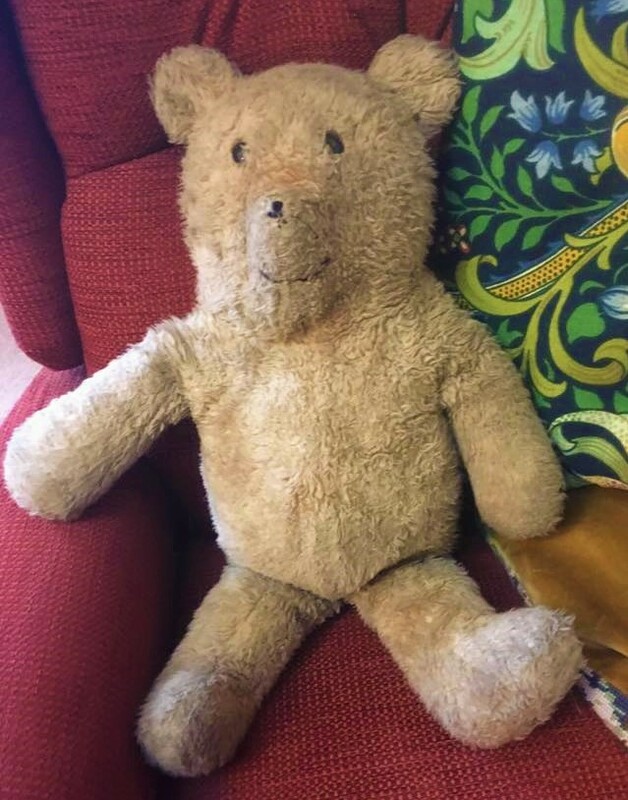 He looks like “Bear.” but his coloring and texture are more like the bear purchased on eBay in 2017 due to years of wear and tear (I slept with him every night as a child). I gave him to my 4-year old son, who also sleeps with him every night. 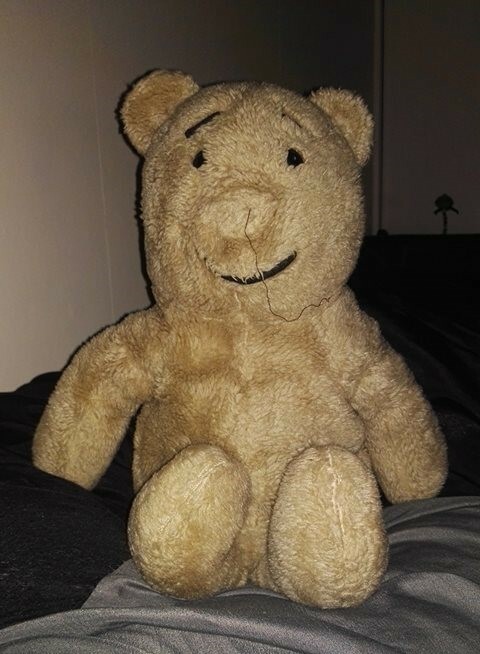 Hi there I live in Australia and have had an Alresford Bear all my life, If I post some photos could you confirm what sort he is? 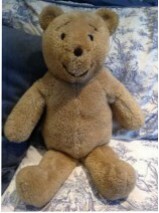 We might be able to, or if you post them on our Facebook page other Alresford Bear owners might be able to identify him! 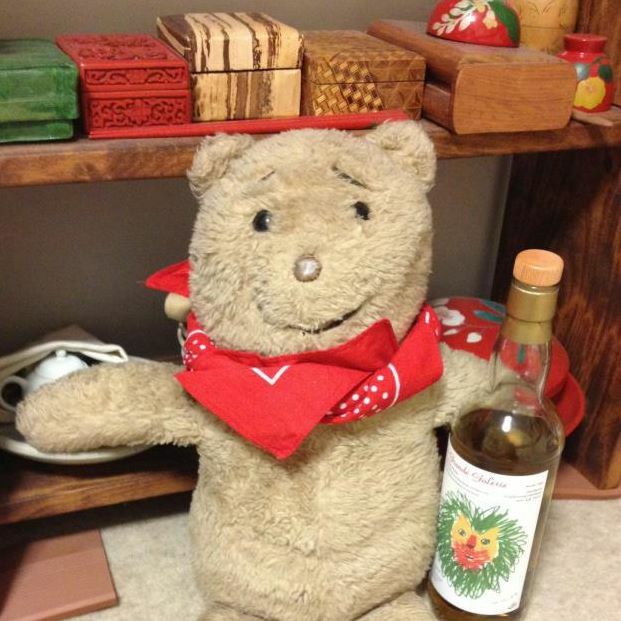 Hi, I adopted the oldest Honey Bear with the black label and his name is ‘Hugo’! Hi Jane.. Pleased to hear that Hugo now has a human. We have updated the ‘Siblings’ page. Please check that we got the right bear!